This Marble Cake is pretty and easy and tastes downright delicious. There’s also no need to go all out with decorations because the swirls inside the cake do all the talking. There’s also no need to go all out with decorations because the swirls inside the cake do all the talking. STEP 6 Tint mixture pink in one bowl and mix well. STEP 7 Stir sifted cocoa and extra milk into another bowl and mix well. 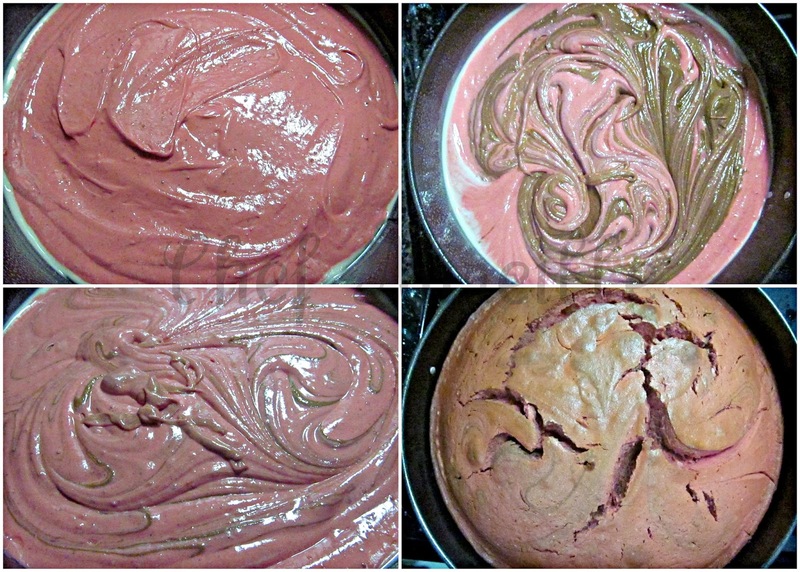 STEP 8 Drop spoonfuls of each mixture into prepared pan and run a knife through cake mixture for a marbled effect.